Unless you’re an echidna, teething is pretty much inevitable. 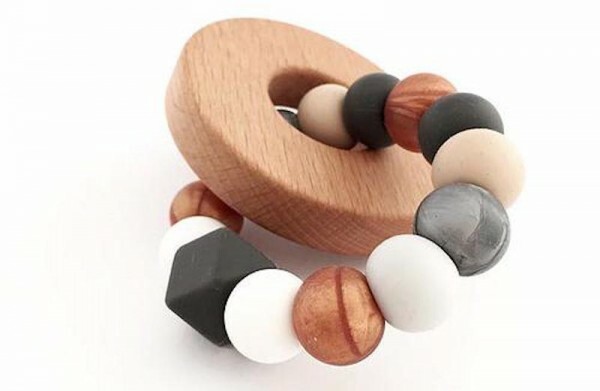 While there’s a lot to hate about the process, here’s something you can love: these beautiful teethers from Nature Bubz. Designed and created in Australia, these teething toys really are gorgeous. Most of the toys available are made from silicone beads and wood that is finished in organic beeswax, so they’re easy on little mouths. 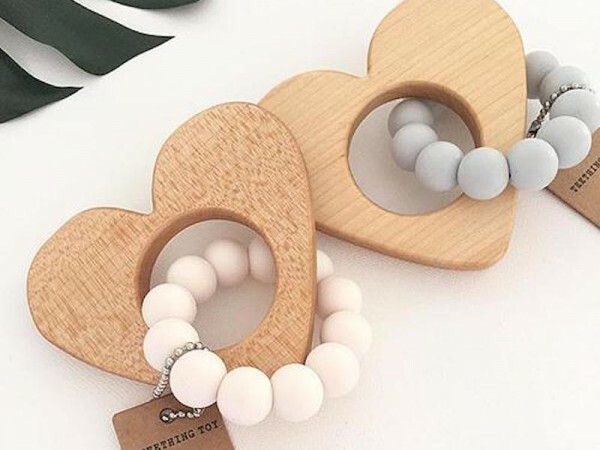 My personal pick is the ‘Love’ teether ($29.95), which is made from soft silicone beads and beech wood. You can also personalise the heart toy by picking your favourite bead colours. My daughter is a big fan of noise, so I like the Scandi Rattles as well ($25.95, pictured at top of page). You and the rest of the family can dance to the music of your baby happily chewing! 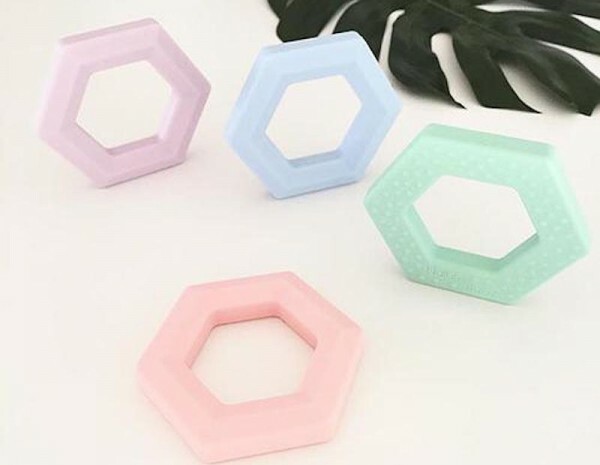 If you’re looking for something simpler you might like the Hex teether toy ($10.95) or the Maple Teething Apple ($16.95). Do yourself and your teething bub a favour and check out Nature Bubz for yourself. The products are nicely made and reasonably priced. Shipping to Australia starts from $2.95.